No specials to be combined with any coupons. Prices are subject to change without notice. NEW! Al Tratoria (Roman Pan Style) Pizza! See the Menu and Order Yours, Now! 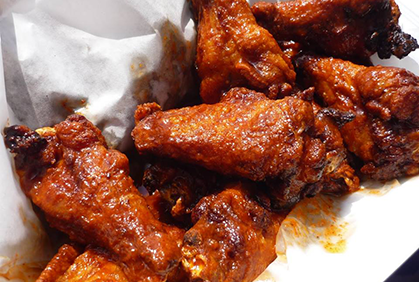 Award-Winning Wings in 10 different styles, 10 kinds of fries, meatballs, Italian sausage, seafood, & much more! Aged cheese spreads & homemade pepper shooters by the pound. See all of our incredible appetizers and our hearty soups & delicious salads! Goomba's Pizzas and Gourmet Pizzas are made in several sizes, all the way up to an incredible 30" pie! Goomba;s has classic pies with fresh ingredients like pepperoni & sausage, & a wide selection of gourmet pies. 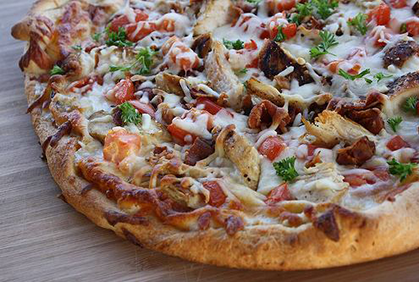 See our wide selection of Pizzas on our menu! 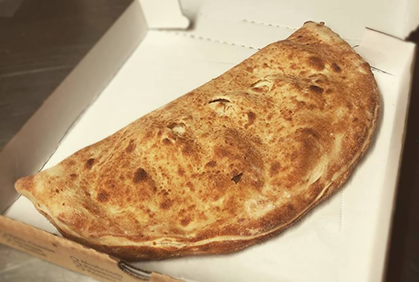 Goomba's make a wide variety of strombolis - from classic pepperoni and cheese to gourmet strombolies chock full of great ingredients like prosciutto, chicken, sausage, crabmeat, and more. Check out all of our amazing strombolis on our full menu. 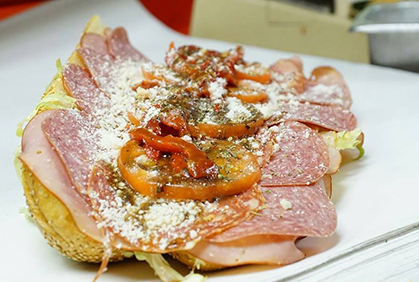 Real Italian-style hoagies made with the freshest of ingredients like our "Ole Italiano," stuffed with Prosciutto DiParma, Sopprasotta, Genoa Salami, Cappacolla & Aged Provolone. Make it a Grinder if you prefer! See the menu for all of our amazing hoagies. 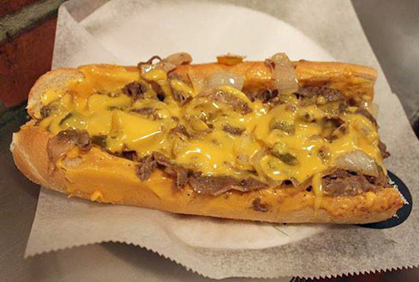 1/2 lb Philly Style Steaks & char-grilled burgers, & a wide variety of hot sandwiches, like our Meatball Parm, Hot Roast Beek, & many more, all served on a 12" roll. See the full menu of our amazing sandwiches. The best homemade pasta and gnocchi served anywhere. 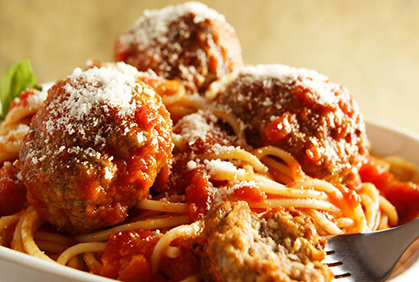 Try our Chicken or Eggplant Parm, the Pasta Alfredo with Seafood, or our homemade Lasagna. Enjoy one of the many pasta dishes from our menu. Hand-dipped ice cream and malt shakes! Choose from Death by Chocolate, Vanilla Bean, Strawberry Fields, Rockies Road, Mint Chocolate Chip, Sticky Bun, Cookie Dough & Butter Pecan. Mmmm. 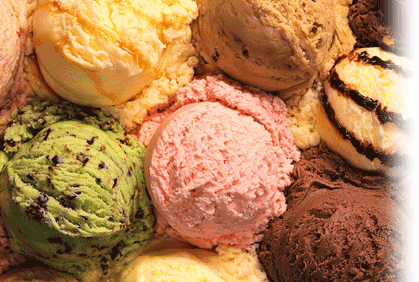 See the Ice Cream and Shakes on our menu. Take Out and Delivery* · Cold Beer Next Door at the Beer Stop! All Materials © Copyright 2011-2012 by Goomba's Pizzaria and Tratoria. All Rights Reserved.